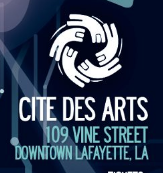 As a part of the Arthur Miller Centennial Theatre Festival series, Cité des Arts will be holding open auditions for Arthur Miller’s “A View from the Bridge,” on Monday, March 16, 2015 and Tuesday, March 17, 2015, both from 6:30pm-9:30pm. This powerful and heartrending play, which centers on obsession and betrayal, will run at Cité des Arts from May 8-17, 2015, under the direction of Loren Farmer. Auditions will be held for males from ages 18-60 and females 18-21 and 30s-40s. Be prepared to audition with selections from the script.